The month of October lends itself inherently to the theme of Potential. It’s a month of transition: days grow shorter, the air cools, and trees shed their leaves in anticipation of a winter nap. It’s the pause before a new chapter, where we reflect on lessons learned while planning for the future. Ancient Gaels celebrated this mid-point between the autumnal and winter equinoxes with the festival Samhain, meaning “summer’s end”. It marked their harvest time and honored the birth-death-rebirth cycle of Mother Nature through celebrations and rituals. 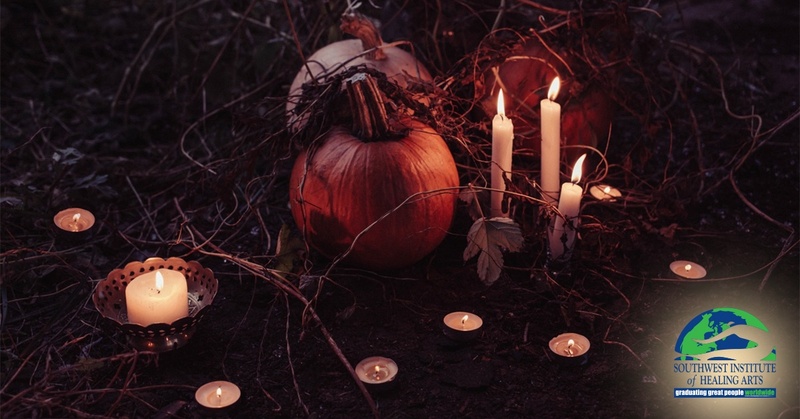 Samhain was eventually incorporated in to Christian culture to take place at the end of October proceeding All Hallows day (November 1st). We now know it as Halloween! Our brains have a way of creating daily habits and sticking to them whether or not they are helpful to us. Most of us already have a morning routine even if we are unaware that it exists. This may include having a non-negotiable cup of coffee, brushing our teeth without exception and searching for our car keys even after we swore we would not misplace them again. All too often it seems that we are wired to repeat ourselves with little awareness that we are doing it. Without realizing, many of us choose to start our days the same way only to find later its outcome was not what we desired. By understanding this, we can quickly transform bad habits into a routine that gives us a greater sense of control throughout the day, prepares us for its inevitable surprises, and boosts us into the satisfaction stratosphere by adding a turbo shot of confidence. We all know what it’s like to have someone be critical of us; some of us take it with more grace than others. However, instead of looking at a comment as negative or demeaning, imagine considering the critics in your life as ‘Messengers of Courage’. For you to face whatever comment or criticism they toss out, takes courage on your part, and it gives you an opportunity to do a moral inventory of who you really are, where you stand in the world, and exactly what the truth is about yourself! One of my biggest moments of courage in facing a critic happened a few years ago during a Celebrate Your Life event in Scottsdale, Arizona. For years, Mishka Productions, created by Ariel Wolfe and her daughter Liz Dawn, have been bringing best-selling authors and new-age thought leaders together for a weekend of intense spiritual growth. It has been my honor to be a part of the conference from almost the beginning, partly because long before the Celebrate Your Life events began, I was friends with Ariel Wolfe. When we talk about gratitude, we are talking about the act of truly being thankful. Thankful for the blessings we have in life -- the simple pleasures, the gifts of nature, health, happiness, family, friends, etc. 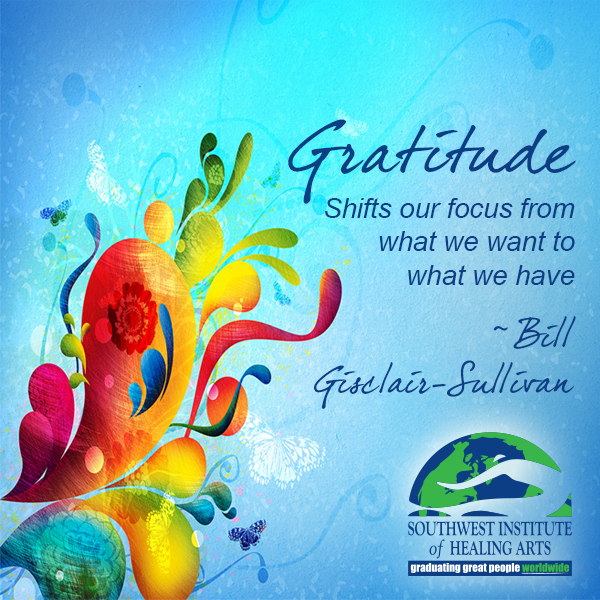 Gratitude shifts our focus from what we want to what we have. It allows us to look at the ready abundance of all that is great in our lives. 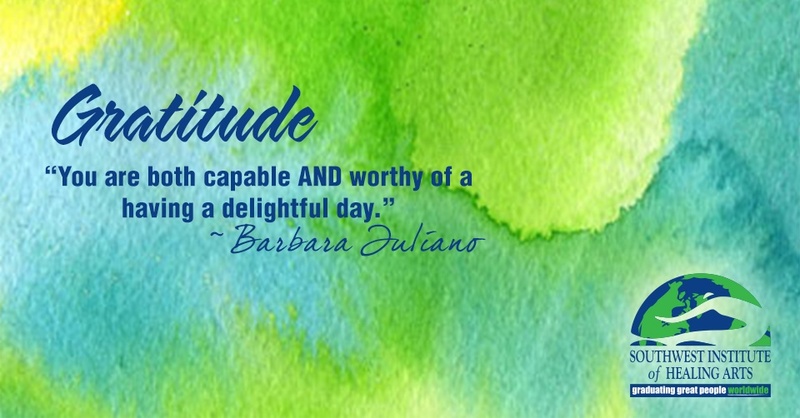 When we are truly grateful there is a profound change in our attitude towards life. Truly giving thanks makes us happier, healthier, and more resilient. It makes our relationships stronger and improves our overall health by reducing stress in our lives. We all sometimes take for granted, the little things in our lives. The things someone else would and have given their lives for: freedom, food, a place to live, an education, a bed to sleep in, clothes on our backs, etc. What about simple things others don't have like sight, touch, smell, and hearing? I know most of us just take those things for granted. Just for a second, imagine your life without them. Think how your life would change and then you will truly be thankful.